Our installation of this QuadraFire Mt. Vernon pellet insert totally transformed the room! 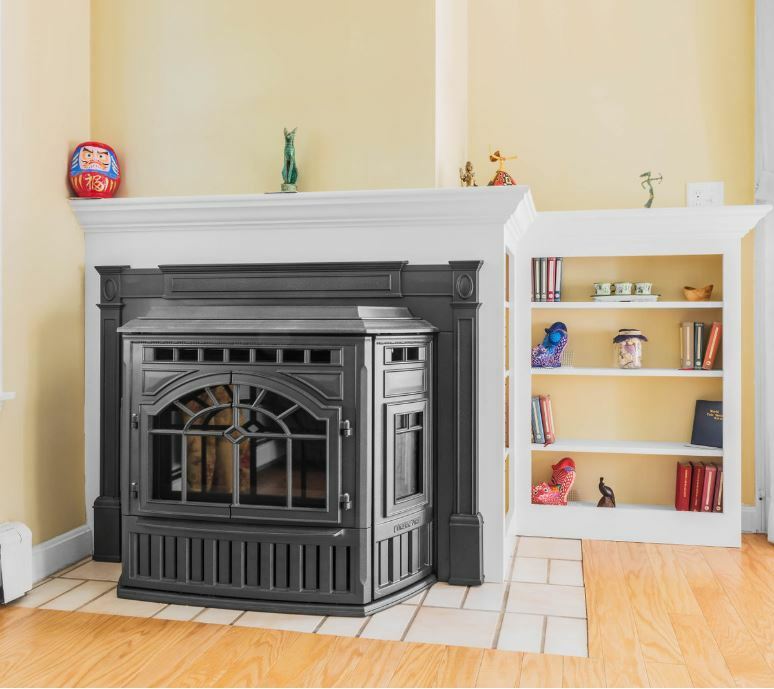 After removing the original pellet insert from this 2-sided corner fireplace, we completely redesigned the look of the fireplace.